Do you plan a family trip in spring? Would you like to travel somewhere on the Pentecostal long weekend? Or would like you to visit relatives or friends? 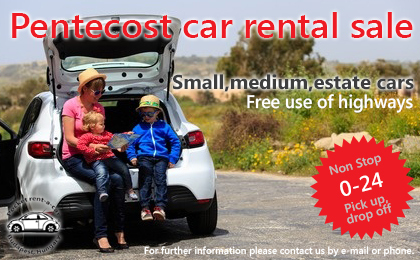 Rent a car from us at favorable price and enjoy your journey! The promotion is valid if you make a reservation for a period of between 15 May 2016 and 31 May 2016. All discounts are subject to availability and Terms&Conditions. ← What happens if you refuel the car with wrong type of fuel?